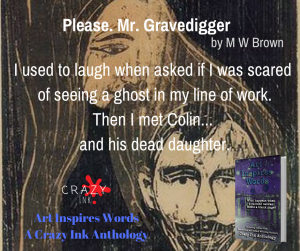 I loved writing the story for this amazing anthology collection. Don’t miss out and please let me know what you think. Each author was given a famous painting to use for inspiration. could take a scene set in medieval times and create a story set in the twenty-first century; writers could have the painting stolen or destroyed and write a mystery; or they could simply reflect on the colors, shapes, or mood of the painting to decide which direction their stories would take. 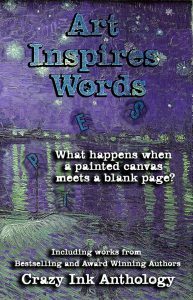 For this two-book anthology, Art Inspires Words, we literally gave the writers a painted canvas to spark their creativity. The only limitation set on each author was that the famous painting he/she selected must be the muse for the story. That’s how the stories you are about to read were created. Art inspired more art, this time in the form of words. Relax in your most comfortable space and enjoy.